Materials: Brass, black made brass. 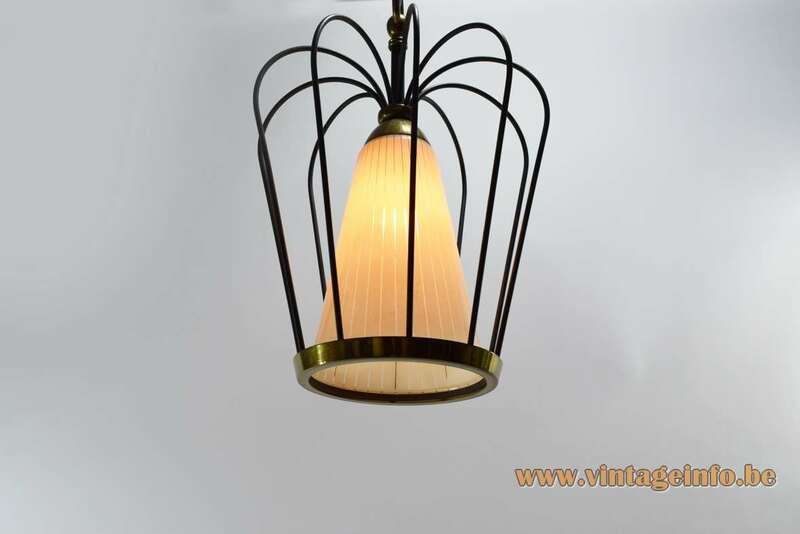 Yellow striped and clear conical glass tube. Bakelite socket. 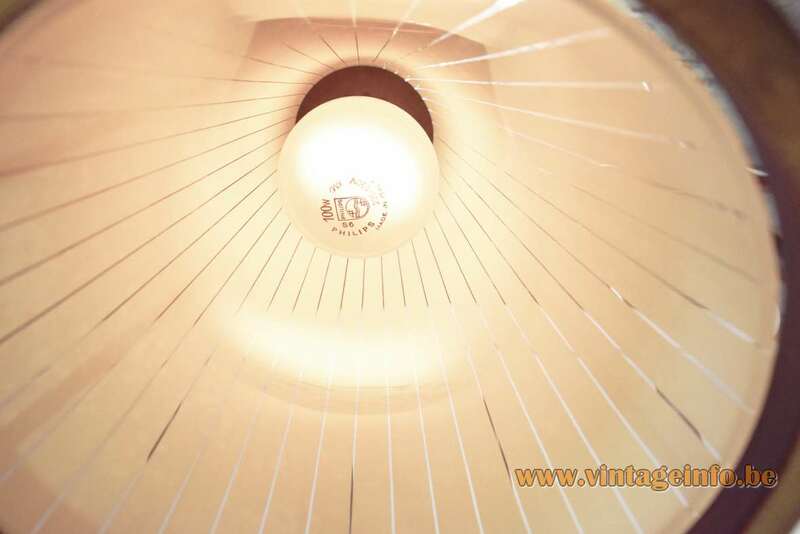 Manufacturer: Massive, Kontich and Wommelgem, Belgium – attributed. 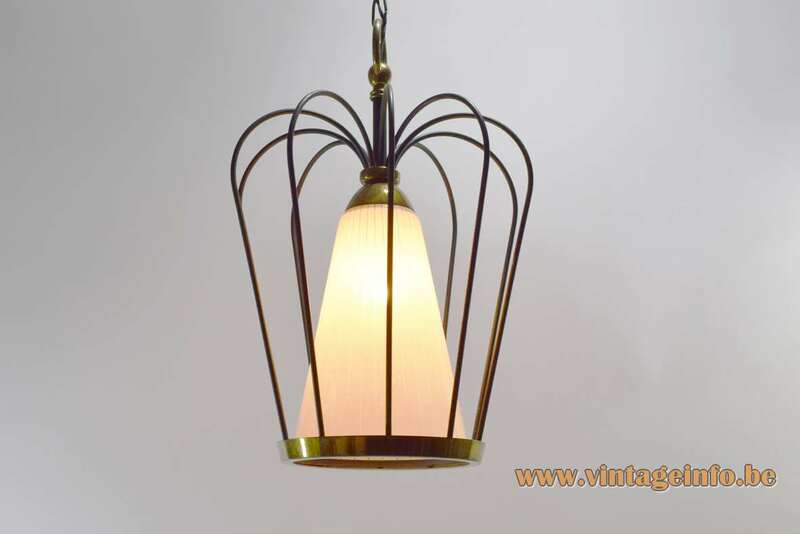 The brass of this lamp is made black in the factory with a chemical process, it is not painted. The easiest and probably the cheapest way to do that is with ammonia. 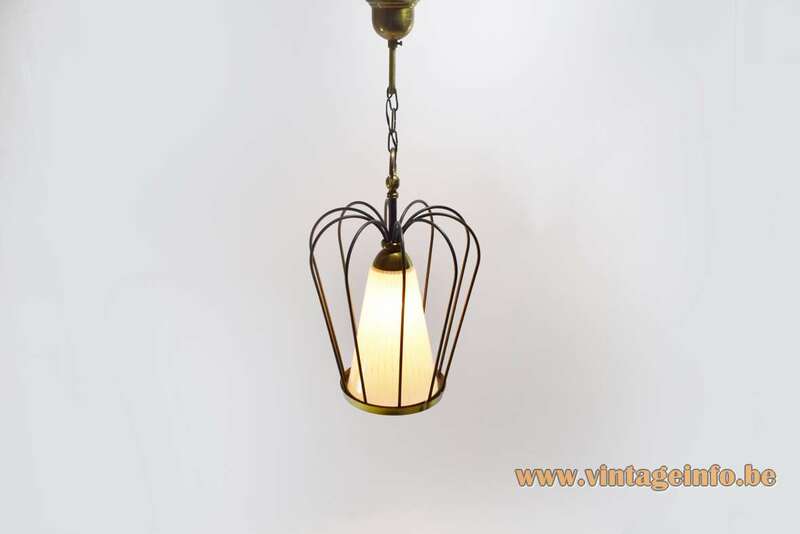 Caged pendant lamps like this one are often attributed to famous Italian companies from that period. 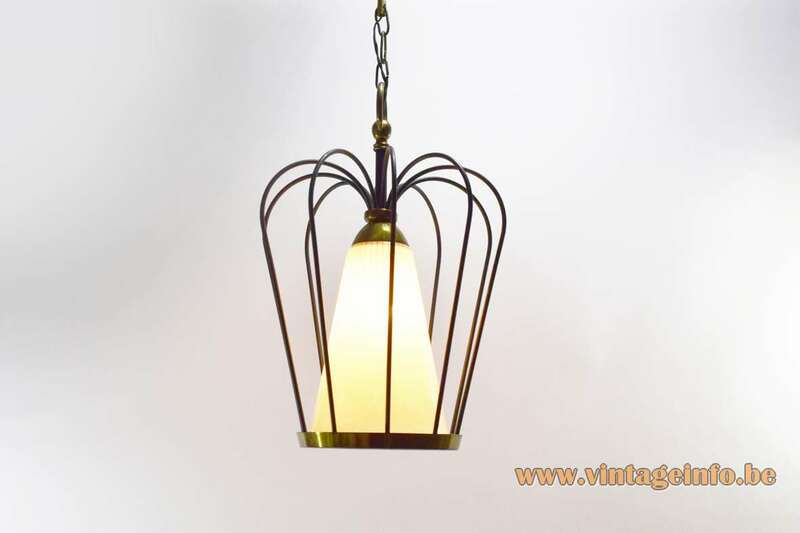 However, caged lamps have been made for a long time around the world. They even existed with candles long before there was electricity. In the 1980s Massive became the leading brand in Europe. In 2002, the brothers left the company to the investment fund CVC Capital Partners, for allegedly more than 250 million euros. 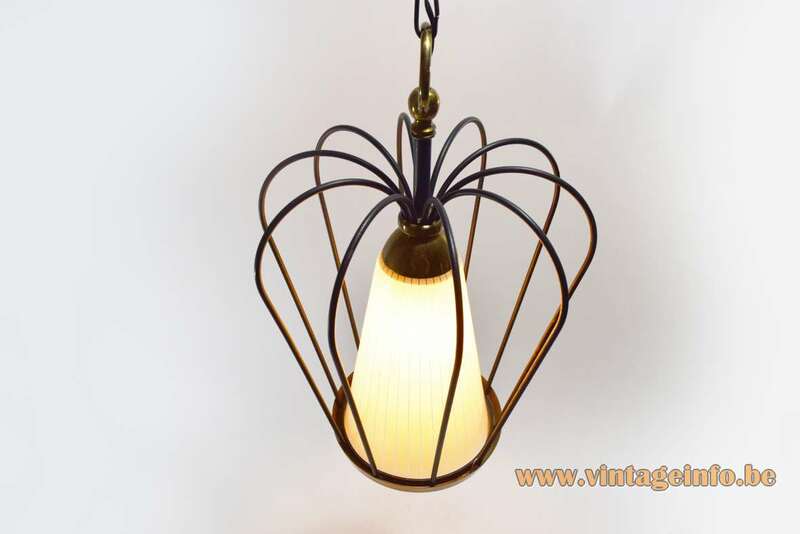 The wiring and socket are Italian and they were made by the VLM Components company from Buccinasco near Milan in the 1950s.